The BBC is on a roll when it comes to African languages! Its has now announced it is adding even more languages to its news service in Africa, this time to attract users from Ethiopia and Eritrea. 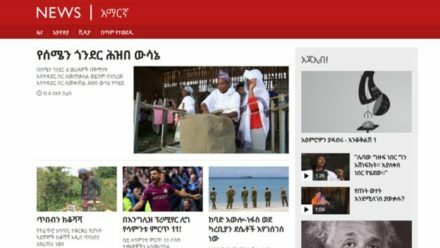 The latest localization move see the launch of three news websites in Amharic, Ethiopia’s official language, Afaan Oromo, the language of Ethiopia’s biggest ethnic group, and Tigrinya, the main working language of Eritrea. For those without access to the internet, the BBC also plans to launch radio shows in the three languages. “We know that there is a great deal of hunger for audiences in Ethiopia and Eritrea to access a broad range of high quality content in Amharic, Afaan Oromo and Tigrinya,” said BBC editor Will Ross, head of the new services. “A major aim of the output will be to help Ethiopians and Eritreans better understand their place in the world. The new language services will also provide the BBC’s global audience with a far better perspective and understanding of the Horn of Africa,” he added. BBC’s expansion comes after a $372 million investment boost by the UK government last year. Alongside the three language services in the Horn of Africa, the service plans to launch a total of 12 new language service across Africa and Asia. One of those, BBC Pidgin, has already been launched in Nigeria to serve West Africans who are familiar with the language which is made up mostly of street slang. BBC also plans to launch services in Igbo and Yoruba, two of Nigeria’s main languages, in addition to its BBC Hausa service which was launched in 1957. Ross said he believed that the potential audience in the two countries – which have a combined population of more than 100 million – was huge, and social media would play a key role in helping to target a younger audience.